Nana Ouyang (歐陽娜娜), who is currently 18 years old, is one of the youngest breakout stars to achieve success. Not only is she known for her lead role in the coming-of-age romance film, Secret Fruit (秘果), Nana is also recognized as a talented cellist. Despite her young age, Nana is the main breadwinner of her household and is a filial daughter. In 2017, she was invited to perform alongside American rapper, Wiz Khalifa, at the 2018 Breakthrough Prize Ceremony, which was hosted by Morgan Freeman. 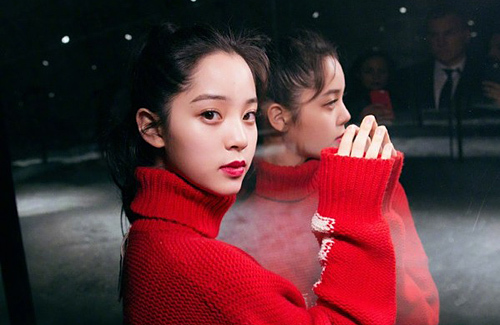 With her multiple talents, successes in showbiz, and rising popularity, it comes as no surprise that Nana’s money-making power surpasses even her father, Ouyang Long Ouyang, who is an actor-turned-politician. In the short span of half a year, Nana pocketed $9.7 million USD and bought a home for her parents and grandparents. However, Nana’s early successes did not come without its controversies and criticisms. After attending the Curtis Institute of Music in Philadelphia for two years, Nana decided to drop out of school and join the entertainment industry, signing with Universal Music Group’s Mercury Classics label. Her decision was met with disapproval from netizens, who branded her as vain and money hungry. More recently, Nana faced more criticisms for a statement she posted on social media. The post read: “As an exchange student studying overseas, I was often asked ‘Where do you come from?’ I come from China. That is my answer. Since I was young, I have had a good relationship with both my maternal and paternal grandparents. I grew up listening to Sichuanese. They taught me that no matter where you end up in life, never forget your roots. I am proud to call myself Chinese. I will forever remember that my homeland is Ji’an. I will forever remember the feeling I get when I see my name written in my ancestral record book.” Although many of Nana’s Mainland Chinese friends revered her pride and honor, Taiwanese netizens were not so pleased. They criticized Nana for forgetting her birthplace and being Taiwanese-born.